Are you interested in booking yourself onto WWI battlefield tour? If so, why not see what Rifleman Tours have to offer? At Rifleman Tours, we organise and run highly-informative and emotionally-potent tours of key historic military sights. Our tours are designed to give you a richer and deeper insight into the past, and are ideal for anyone with an interest in British Army history. Groups of 12-22 people can be catered for, and people from all walks of life have taken part in our tours, including academics and those with a new interest in military interest. 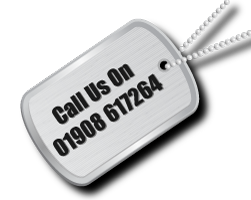 You can get in touch at any time if you do have any queries about what we can do for you. We can run bespoke tours based on your specific tastes and interests. All fees for museum entry and lunches are covered by the tour price. Tours for the Vimy Ridge and Arras, Battle of Messines and the Battle of Passchendaele (Third Ypres) are planned for 2017. You can contact us today by calling 01908 617264 or by using the contact form on our site. Why not take a closer look at what we have to offer today?